it’s worth bearing in mind that busy hot days in Whitstable are fun, but be sensible and rub on a bit of suncream. I’ve seen numerous amounts of people so far this year already sporting the Lobster look. It’s not pretty and makes me cringe when I think of all the pain those crispy people are going to suffer. Also Keep in mind that cool natural drinks and specialist Ice Creams are now available at Herbaceous and that there is always a dogs water bowl outside the shop. 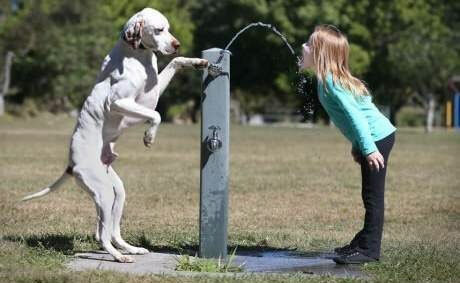 Just in case you wish to give your furry companion or your dog a refreshing drink or snack!! !